Hedgehog Coffee “wanted to improve cost effectiveness, quality, and throughput of label printing” when it came to printing their product labels in-house. They needed a replacement inkjet printer with flexible print options so that they could take advantage of planned product and service offerings. Memjet provided the affordability, flexibility, and speed needed for their growing business. Because of the broad variety of media supported by the L801, Hedgehog Coffee Roasters can utilize a more affordable label stock that meets their requirements and at a reduced per-label cost. This savings is increased by ink consumption being at least 60% lower than the ink used in their previous printer. Hedgehog Coffee Roasters is able to use the Roll-to-Roll option for longer runs and Print-and-Present for as-needed production, increasing their overall productivity. The L801’s print speed completes jobs 750%–1,500% faster than their previous printer. The L801 has kept up with a large spike in business, allowing Hedgehog Coffee to meet customer demand. Savings of about $0.87 per label (compared to outsourced labels). The L801 will pay for itself after running fewer than 15,000 labels. Due to quality demands, label printing had to be outsourced. 2–3 week turnaround time was not acceptable. Sometimes they couldn’t sell product while waiting for labels to arrive. Labels can be printed in-house immediately, in any quantity. 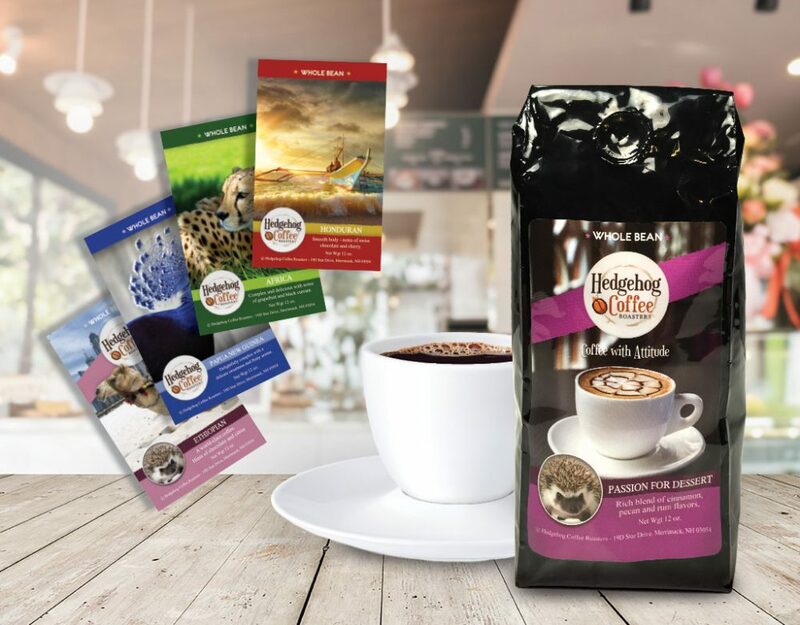 Preprinted labels meant that when Hedgehog Coffee found a special bean or wanted to produce ultra-short runs, they needed to either turn away the business or use a less professional looking label solution. More versatility in label stock and the ability to alter labels on the fly allowed Hedgehog Coffee flexibility in sourcing beans. They are also able maintain better brand presentation and realize cost savings. Outsourced 3" x 5" labels cost $1.00/each. Total per label cost of $0.129 (ink and label stock) with 90% ink coverage at $0.029/label.